Joining again this week with Tipsy Tuesday, this time with a review of a drink I had this weekend. Anyone who knows me well knows of my long time love relationship with root beer. Not just any rootbeer, but particularly A & W root beer. My teenage years were spent as a car hop for a local A & W rootbeer stand, which I loved! Our New Town Book Club group was out to see The Martian as we all read and loved the book. We decided to meet before the movie at Bar Louie and have a bite to eat. While looking at the menu, I mentioned this drink, "Not Your Father's Rootbeer" and two of our group had tried it and highly recommended it. Here is a root beer with alcohol. Interesting. I ordered it as a "float" and the waitress brought the remaining in the bottle. I drank it first. Delicious. The alcohol is barely noticable, which makes it dangerous in my case. The "float" is a concoction of vanilla vodka, cream and the rootbeer. Creamy and delicious, it would be fantastic with a good burger! I will get some for my own refrigerator soon. 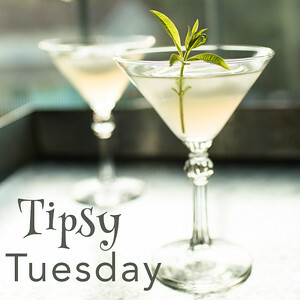 Partying with Pam over at Grey is the New Black's Tipsy Tuesday!